South Africa have expressed interest in hosting the 2019 Women's World Cup. Football's world governing body Fifa revealed it has also received declarations of interest from England, France, Korea Republic and New Zealand. And it appears those four countries could be ahead in the bidding because South Africa is already set to host the U-20 Women's World Cup in 2016. Fifa would prefer the 2018 U-20 Women's World Cup and the 2019 Women's World Cup to be hosted in the same country. The governing body says it has has submitted the bidding documents, which the relevant member associations have to sign and return before the Fifa Executive Committee assigns the 2019 tournament. 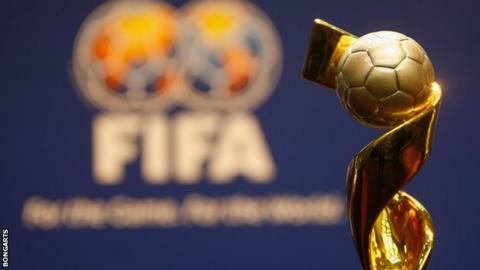 Meanwhile, Bosnia and Herzegovina, Egypt, Finland, Northern Ireland and Sweden have declared their interest in hosting the U-17 Women's World Cup in 2018. For all three women's competitions the deadline for submitting the hosting agreement together with all the signed bidding documents is 31 October 2014, with the final decision on the hosts currently scheduled to take place at the first Fifa Executive Committee meeting in 2015.